In addition to our deep sea fishing charters, Morning Flight also offers free pick up service for those coming in from cruise ships. We will pick you up directly from your port drop off point. No need for you to take a cab! You can also enjoy your own unique and private cruise around Portland Harbor. Contact us to schedule your customized cruise service. Operating with a 25′ Steiger Craft named Bobber Down, Morning Flight Charters is fully rigged to fish with outriggers and a fine selection of rods and reels professionally set up to handle various fish species, even the “Big Ones”! Our boat is fully equipped with a bathroom to make your trip a comfortable one. 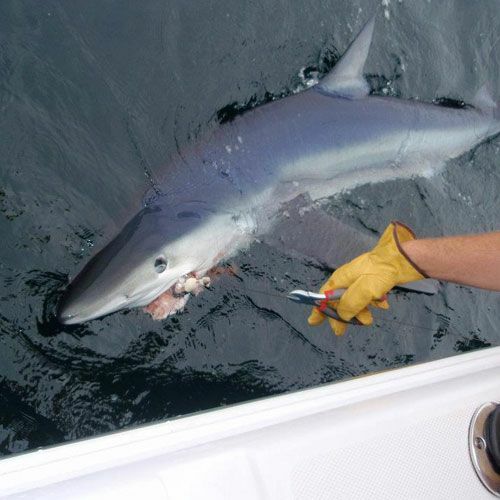 Find out more about the different varieties of inshore and offshore ocean fishing species available for your next deep sea fishing trip by clicking here. 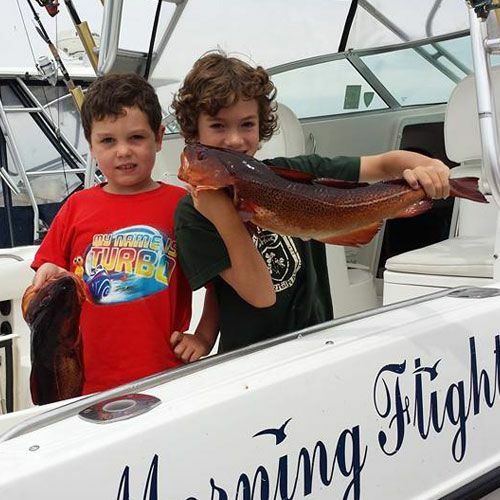 Schedule a 3-hour fishing charter designed with your children in mind. 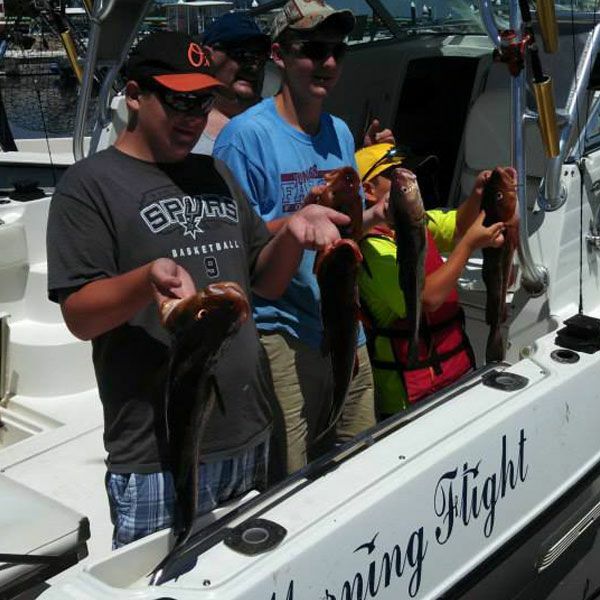 A family fishing trip with Morning Flight Charters is a fun and stress free way to spend quality time with your children while enjoying the beautiful Maine coastline. 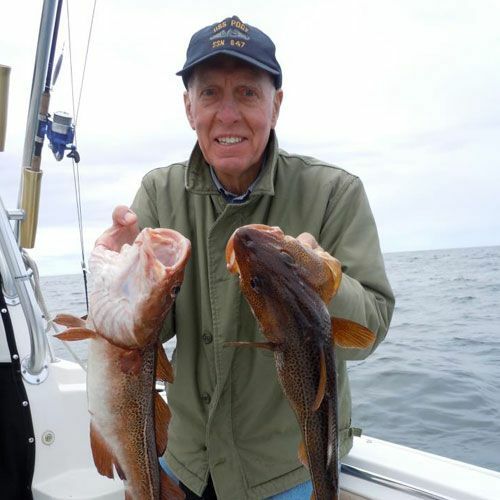 You can also customize your family-friendly ocean fishing charter based on your individual needs. 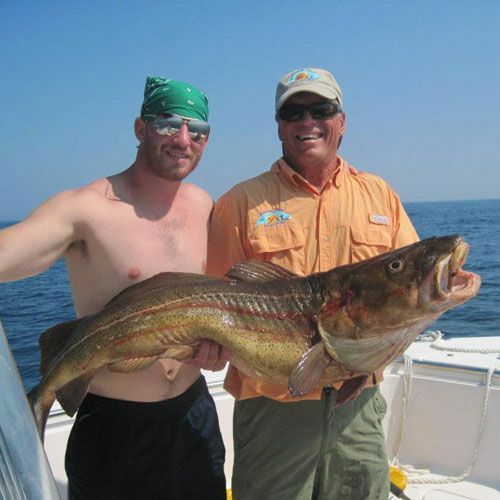 Contact us today with any questions you may have about deep sea fishing for your family. Our goal is to make sure that you have a memorable and successful fishing experience no matter which fish you choose to pursue. While we can’t control the weather, we do track it with the latest information available from NOAA and watch the tides. Visit our Fishing Information & Resources page for valuable information on tides, weather, even where you can find your own lucky rod and reel! Choose Your Next Fishing Trip! 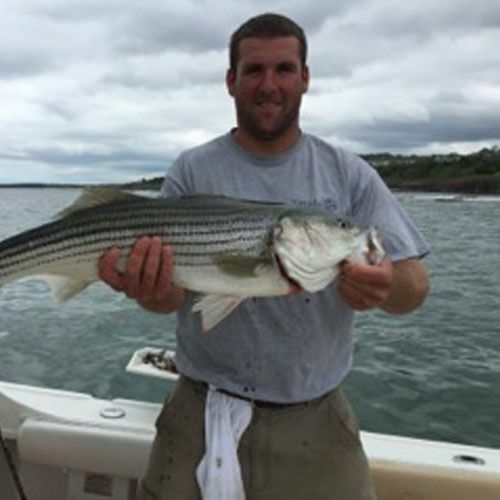 contact us to experience the best off-shore fishing in maine! copyright © 2019 morning flight charters.